Millions of dollars were spent in Australia during the Test series. 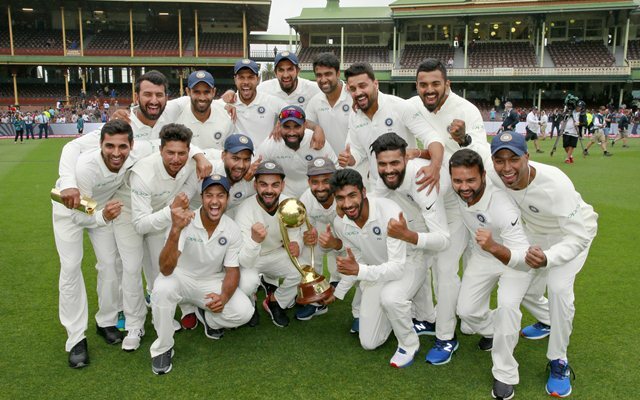 India recently won a historic five-day series in Australia, but given the number of TV Commercials and brand shoots which moved to Oz to film with the Indian cricketers, Australia’s film industry has emerged as a surprise winner, thanks to the Indian cricketers and their extensive brand endorsement. Millions of dollars were spent in Australia on TVC commercials, digital content, and stills shoots by international and national Indian brands who relocated their filming to Australia and timed it with the cricketers’ days-off. Anupam Sharma and his company are renowned for having pioneered film links with Australia and India since 1998 and have undertaken most of the TV commercials and films with cricketers from India and Australia since 2003. Jannine Barnes, who co-produced an Ad for Audi featuring Virat Kohli, with Melbourne Director Dean Coddrington, observed that, “It’s not just Australia but Victoria in particular which has benefited from millions of dollars spent on local crew and cast. Anupam, as a producer, has been bringing Indian films and investment to Victoria for over 21 years and it just proves that we have the best film crew and facilities in Victoria. Audi produced the first-ever ad for India featuring Virat Kohli through Corner Stone, the agency which represents him. Virat Kohli, who along with his Bollywood Actress wife Anushka Sharma, endorse a plethora of brands, also filmed for Boost (energy drink) in Sydney, American Tourister commercial in Melbourne, App stills for Premier League in Melbourne, whilst other cricketers filmed for Red Bull, along with several other brands. Australia has benefited from Bollywood shoots and major TVC from India who provide employment to Australian film crews. Victoria, especially, has been trying to woo Indian film investments through its Bollywood Policy released in 2010 by former Premier of Victoria Ted Baillieu, followed by a spate of incentives for Indian films, but has been unable to attract any major film or investment since 2010. Anupam Sharma’s company, TEMPLE, is the only Australian film production house associated with a high level of Indian projects in Victoria and Australia since 1998.